Today’s feature VBB Piaggio Vespa reminds me of a ride day I went on a few years ago. A large group rode from the eastern suburbs of Melbourne to Phillip Island (approx. 130km). My mate was there, he rode a Kawasaki Ninja, I was on a Harley Dyna Wide Glide and my brother in-law was on his Vespa. Yes we were an odd trio! Now I did learn a thing or 2 that day, never underestimate the power of the Vespa and when a Vespa is around it will get all the respect and appreciation. With one scooter among a sea of motorcycles all attention was on the Vespa. And wasn’t it a beauty, packed with Italian pride and a rich history. Vespa’s are a timeless piece and a cult object for young and old passionate riders, who love anything on two wheels. 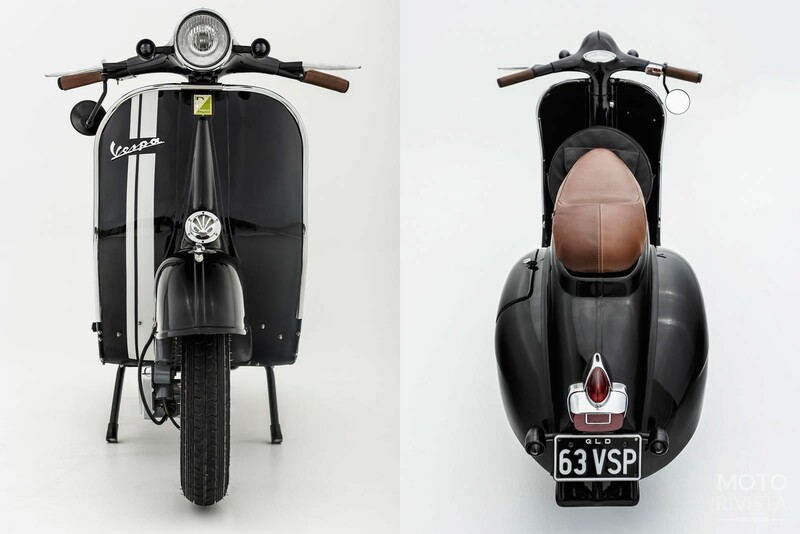 With a growing interest in the restoration of vintage scooters it was only a matter of time before we would be fortunate enough to feature one on Moto Rivista. Thanks to Brisbane’s Ellaspede today is that day. 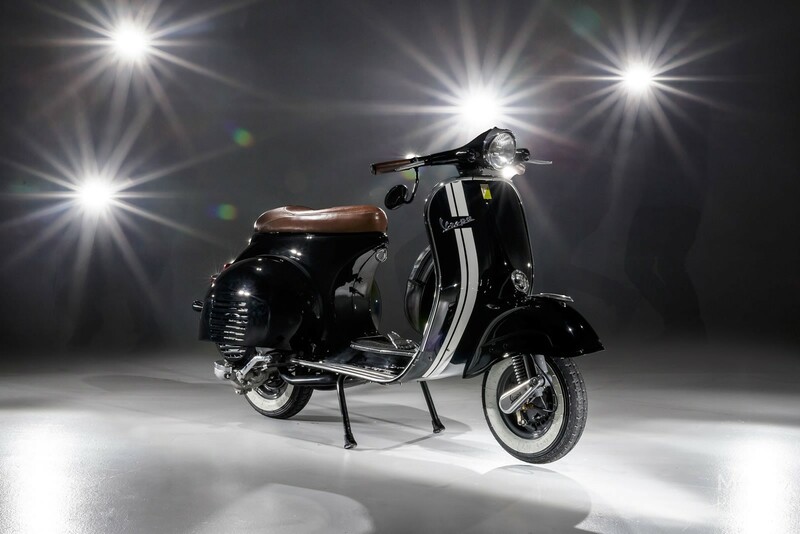 Here’s Steve Barry from Ellaspede to tell us all about this 1963 VBB Piaggio Vespa! 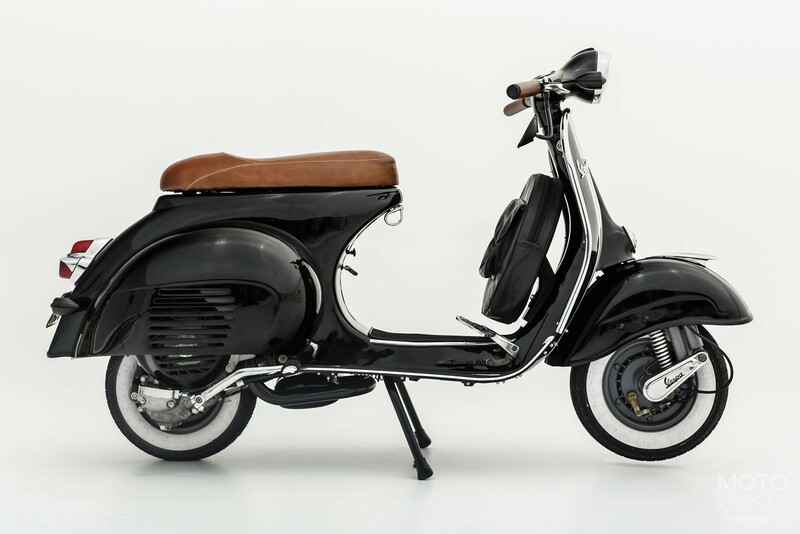 “One of our latest clients Rick, contacted us with a view to tidying up his 1963 VBB Piaggio Vespa. The Vespa had been gathering dust in Rick’s garage waiting for its former owner to return from abroad however, a change of plans saw caretaker Rick as the new owner of the little two-stroke Italian. With a dust-off Rick enjoyed putting around for a while before a few issues drove it back to storage again. After finding out about Ellaspede Rick thought it was time to have some work done. First port-of-call was a decent clean! The VBB came up ok and with a polish and Rick was initially happy to run with the visuals as they stood. We then got to work sorting various electrical issues, integrating a battery to help run a new headlight and indicators and generally tidied things up. As the cleaning progressed it became apparent that the seemingly ok paint now started to look less than it could, so off came everything required for a new 2 pac paint job in gloss black with white stripe down the right leg shield. New trim and rubber replacements were now in order as were new white wall tyres, and a new speedo. The seat was always going to be custom. We took cues from the body work to guide the shaping. Finished in brown leather, it contrasts well with the dark duco. Matching covered hand grips help balance the look. Mirrors are handy things and at times an over-specked item on retro scooters. Not being a mod, Rick wanted to minimise things so we integrated an under-slung 3” round unit as the right brake lever pivot. A similar integrated approach was used with the placement of the Posh brand indicators. 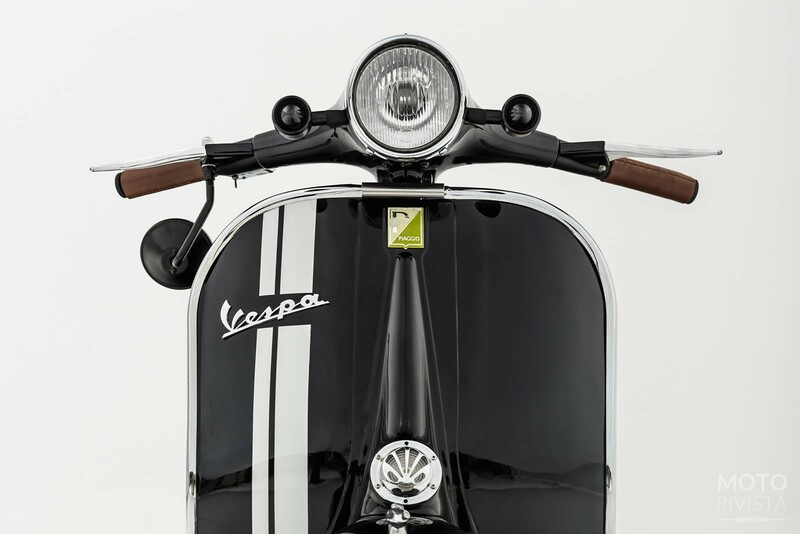 The smooth black bullet shape suits the styling of the Vespa very well. Mounting the fronts off the headlight cowl seemed the most logical and fitting spot. Because of their monocoque design I’ll be the first to say, ‘old Vespas are not easy to work on’ … and we did our fair share with this one. The pain continued when it was suggested we replace the carb to maximise reliability and performance from the aging but still good 2 stroke. However, during this process the idea of replacing the whole engine seemed to take root and before long out came the old and (with a few body mods) in went a fully reconditioned PX150 donk from Vespa2 in Cairns to fill the void. With very little tuning the new engine burst into life and now gives the little wasp a 12hp sting compared to it’s original 4 – 5hp. The new engine also provided much better charging so the original ‘sans battery’ status has been reinstated. 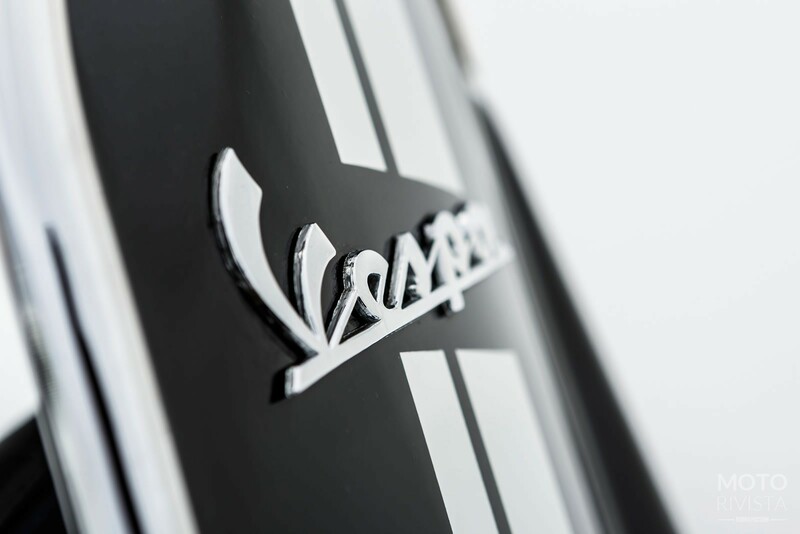 Rick has an appreciation for Italian design, evident in one of his other vehicles, so it seems fitting the Vespa has been given ‘qualche amore’. There are plans for other bikes, they’ll be used for different purposes, but for now he’s happily cruising the streets and cafes of Brisbane on one of the coolest VBBs around”. 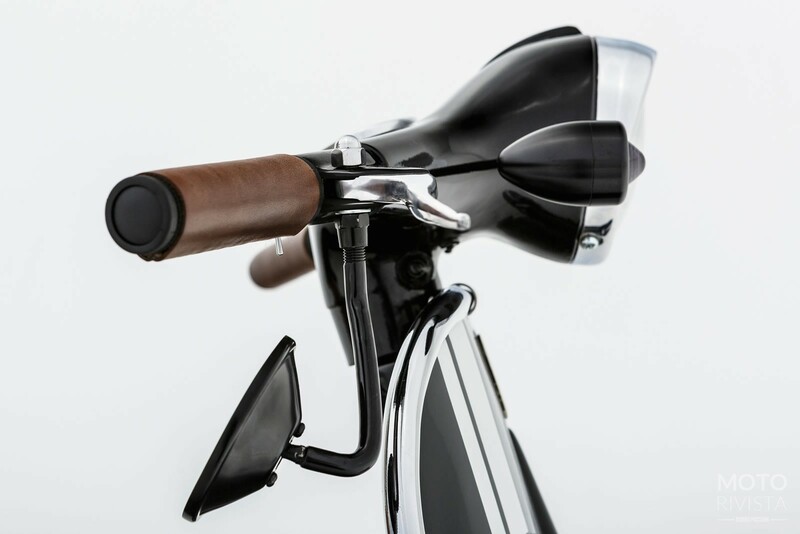 The black paint with white stripes brings the retro look and feel, while subtle details like the foot brake, brown leather grips and the custom brown leather seat complements the overall look. Out from storage and on to the streets of Brisbane this Ellaspede VBB Piaggio Vespa will get all the attention it deserves. Forever Vespa!